We are delighted to announce that you can now save your posts to a spreadsheet file (CSV). 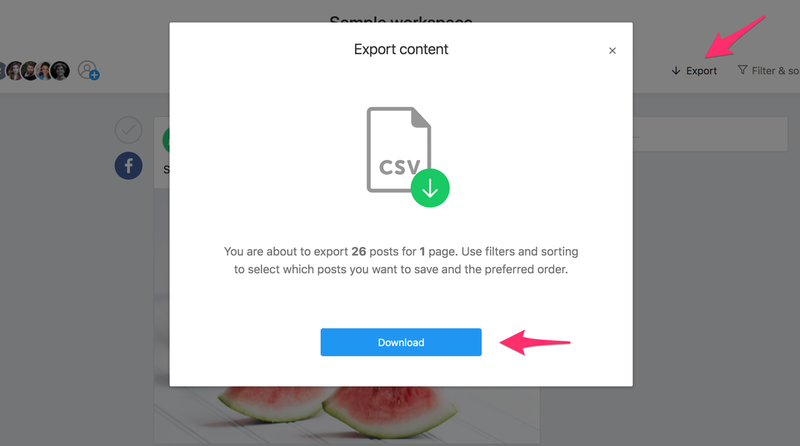 To download your posts, just click export button on the top of the page. Make sure to use filters and sorting to select which posts you want to export and in what order. Share your thoughts and as always, stay productive! We are excited to announce that you can now view posts on mobile in a grid format. Grid view is available for all pages, including Facebook, Twitter and LinkedIn and enables you preview upcoming posts at a glance. Let us know us know what you think and don't forget to update your app from App Store or Google Play. We are excited to announce that you can now create multiple video posts for your Instagram page. Simply drag & drop your videos in posts or pick from your files and voilà! You can now keep track of changes and feedback via the mobile app! We have added a new activity tab where you can see all the latest updates in your workspaces. In our latest update on the mobile apps for iOS and Android we've enabled comments on posts. 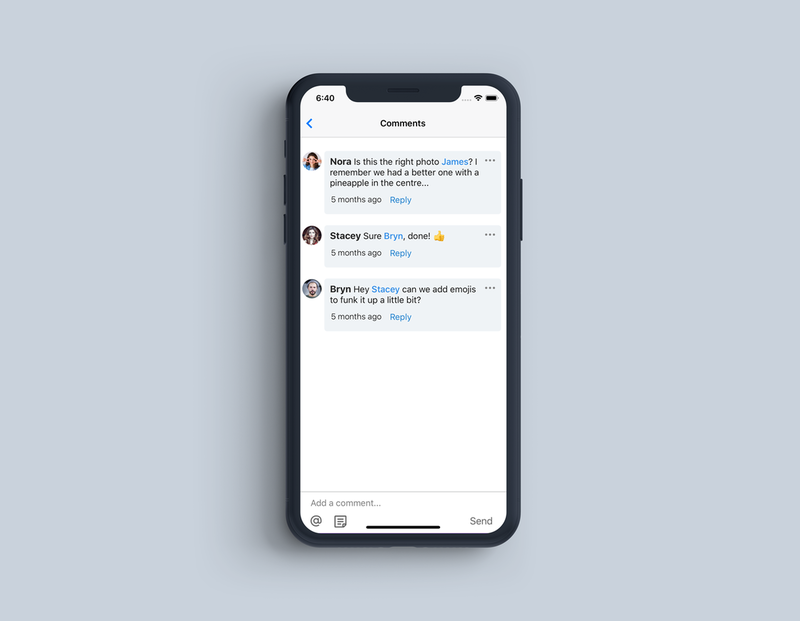 You can now view comments on posts, leave feedback and resolve feedback in a native mobile format. To use these latest features and improvements don't forget to update your app from the App Store or Google Play. We are excited to announce that Planable is now part of LinkedIn Marketing partners program, and this means that we now have extended access and are able to publish more content formats. And even more content formats will follow in the next period. To use the new formats, we require to re-authenticate your LinkedIn account and grant the new (extended) permissions. Just click on the reconnect button on top of the page and click accept. To better secure your valuable content, Planable will now archive your posts instead of deleting them immediately when you no longer need them. 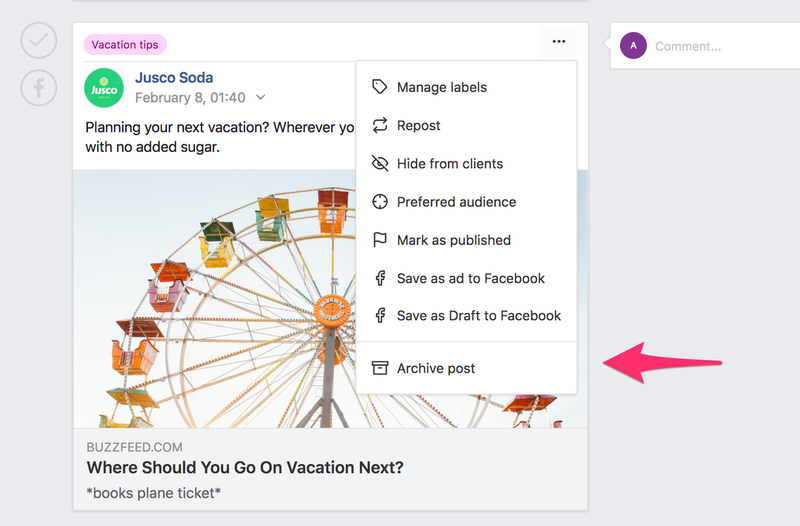 In case you have accidentally removed a post (or someone from the team did) you can easily restore it in just a few clicks. We will keep your archived posts for up to 30 days and then automatically & permanently erase them from the system. We are excited to announce that you can now plan your social media campaigns in a new grid format. 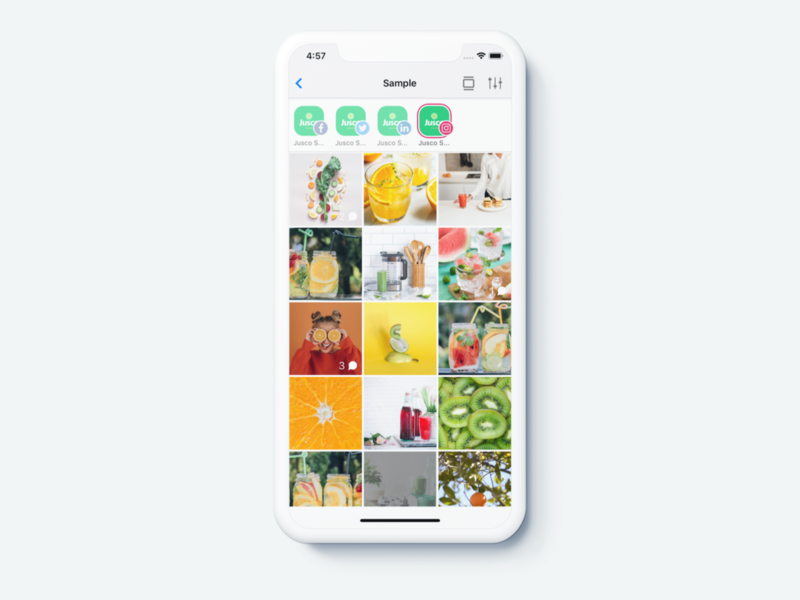 This feature is particularly useful for Instagram, where you need to craft your grid and make sure everything is pixel perfect. Simply drag & drop your posts to rearrange them until your grid is flawless. 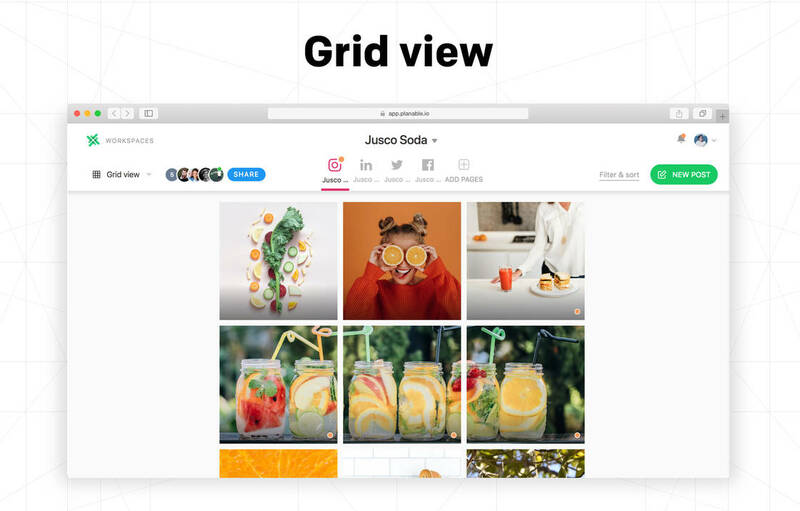 Grid view works on all types of pages: Facebook, Twitter, Instagram and LinkedIn where you can preview your upcoming content at a glance. 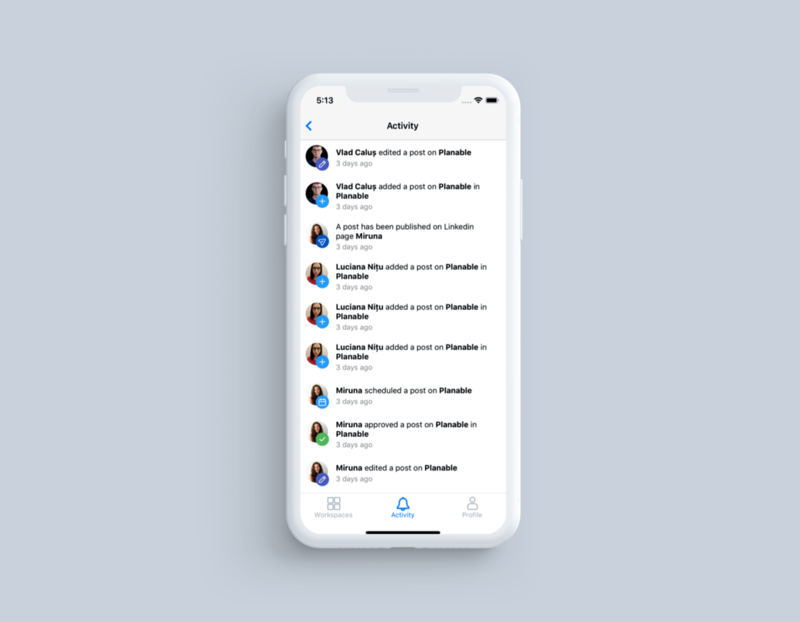 As we continue building new features to improve your experience using Planable, we wanted to announce a major feature that we just released. 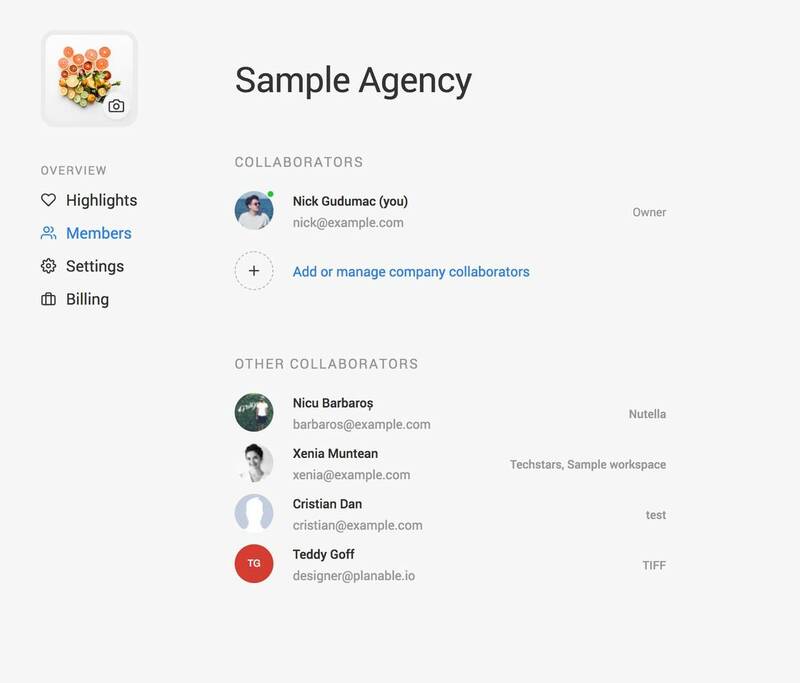 Company accounts is a new way to organize your resources (workspaces, pages, collaborators and clients) in your Planable dashboard. With this new release, all of your existing workspaces will be available in a single company account. You can create as many company accounts as you’d need and each account has it's dedicated billing plan and collaborators. Company accounts are designed to save you time by sharing access to all workspaces to your collaborators. And give them the ability to create additional workspaces under a single account & unified billing. We are excited to announce that Planable now supports all types of video formats. Simply drag and drop your video file in the composer or on a new post. We will take care to make the necessary adjustments and optimizations, and display it properly for your platforms. Surely Planable will start publishing changelogs very soon.